During the first session, the 2,500 Bishops got to know one another, realizing the vastness and the vitality of Christ’s Church throughout the world. None of the conciliar documents was ready for promulgation at the end of the first session. 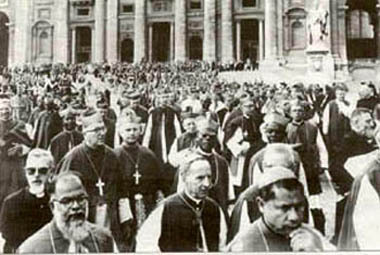 The Bishops decided that the schemata which had been prepared before the Council – for the most part by curial officials – did not reflect the pastoral style of the Council. 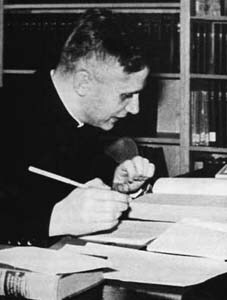 One conciliar historian noted that: “The German theologian Father Josef Ratzinger called the absence of any approved Council text before the end of the first session “the great, astonishing, genuinely positive result of the first session.” The fact that no text had gained approval was evidence, he said, of “the strong reaction against the spirit of the preparatory work.” This he called “the truly epoch-making character of the Council’s first session." What were the plans for the second session? Pope John expected to call the Bishops back to Rome in early 1963. There was need for more discussion on the Sacred Liturgy, the Sources of Revelation, the Role of Bishops, and the very nature of the Church itself. If re-writing (in some cases), amendments (to several decrees), and preparations for topics not yet addressed could go forward at a rapid pace, the Ecumenical Council might end at Christmas 1963, which would be precisely four hundred years after the Council of Trent. That schedule was to be changed, because of the sheer magnitude of the work to be done – and because of Pope John’s failing health. 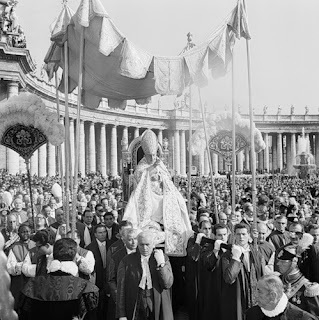 After the first session, the Bishops returned to their dioceses “changed men”; when they returned to Rome, they would find dramatic changes, including a new Pope – who would commit himself to the ongoing work of the Second Vatican Council.